Six years. We've been running these cleantech and energy tech investment forums for six years. And by "we" I mean my co-founder of the Cleantech Alliance Mid-Atlantic, Kevin Brown of Hobbs & Towne, and me, along with our pal Tom Dwyer, who was part of the original team putting this show together. Now Tom is at Pepper Hamilton, which joins us as co-sponsor this year, but we'll be at the same venue, as the past few years, the Academy of Natural Sciences in Philadelphia. Or as my kids used to call it, the "dinosaur museum." 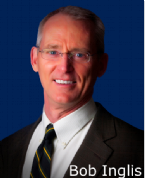 This year, we've got another stellar line up, with keynote speaker Bob Inglis, former U.S. Representative for South Carolina's 4th Congressional District, who lost his seat to a tea-party challenger because of his outspoken free-market acknowledgment of climate change and support for green energy solutions. Bob went on the found the Energy and Enterprise Initiative at George Mason University, an independent think-tank devoted to promoting free enterprise solutions to climate and energy issues. In other words, he's one of the good guys and you won't want to miss what he has to say. And, of course, our ever-popular company showcase and cocktails with the dinosaurs.